At the start of each month we will choose a product to shine a spotlight on and review. We will try to give you as much information as we can, and if we have used ourselves, give an honest opinion of how we think it performed out there in the real world. If there is any product that you would like us to review, please just send us an email through our “contact us” page. A light weight anorak with great waterproof and breathability ratings. Throw your Deluge Anorak in the bottom of your pack in case you’re caught in an unexpected downpour. 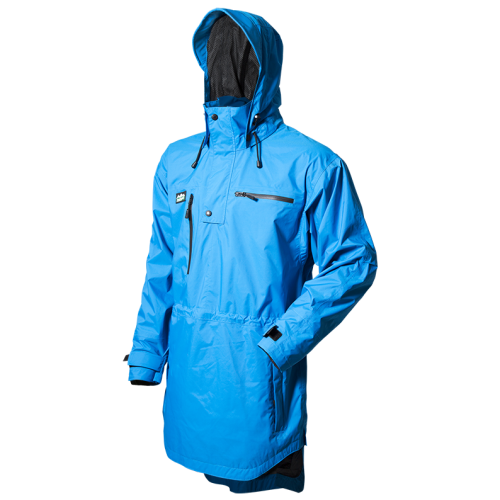 The Deluge Anorak is designed with the hunter in mind through features like GPS loops inside the large chest pocket and the hood cut for best visibility. It’s light, compact, breathable and extremely waterproof. This is also a great little number to chuck in the back of your truck no matter where you’re headed, cause it’s always good to have your back covered. 2 large zip chest pockets, 1 with a hidden loop to hold GPS. 2 hand pockets, zipped with storm covers. Storm cover to lock out the weather. Chin guard, to prevent zip scratching. 3 adjustment cords to shape the head perfectly. Style cut to maximise vision. Peaked to protect against weather. Double cuff system with fabric outer cuffs and internal neoprene cuffs designed to keep you waterproof. Internal centre draw-cord to fit waist snugly. Pit Zips to keep you cool. Generous back tail to keep your bum dry. Our Store Special: $199.90 Saving a whopping $100! !